During three weeks in January my colleague Michael Kai Petersen and I had the opportunity to teach our course on User Experience Engineering with the twist that it was also offered as a KAIST e-learning course together with the KAIST Division of Web Science and Technologies (WebST). Students from KAIST could tune into the lectures that were being streamed live in the morning here, which were in the afternoon in South Korea. In terms of e-learning I found that a major challenge is the high level of interactivity in the course. Throughout the three weeks students continuously work on assignments that involve conceptualizing novel prototype gesture interfaces which are presented and evaluated in class. While the Adobe Connect for eLearning environment offers sharing of multiple content elements (streaming video, slides, notes, discussion, etc.) the technology is still a barrier. That is, latency is an issue and the bandwidth is still limited in terms of offering a seamless and transparent dialogue that is an integral part of the interactivity and evaluation that is a core element in this course. Most importantly it was a great learning experience. 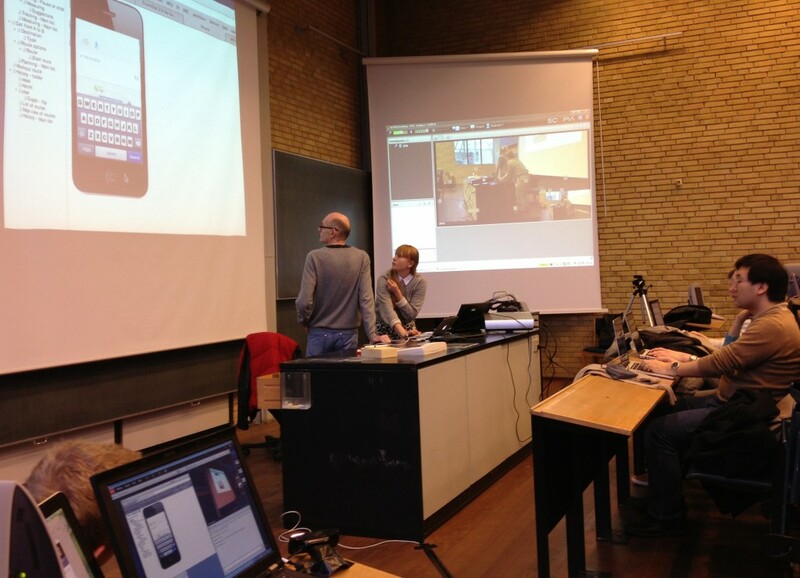 This entry was posted in blog and tagged course, e-learning, teaching, user experience by Jakob Eg Larsen. Bookmark the permalink.